The ultimate wine lover’s dream is a large wine cellar – with perfect temperature and humidity conditions – laden with treasures from around the wine producing globe. Unfortunately, not all of us have the space or the budget to make this fantasy a reality. 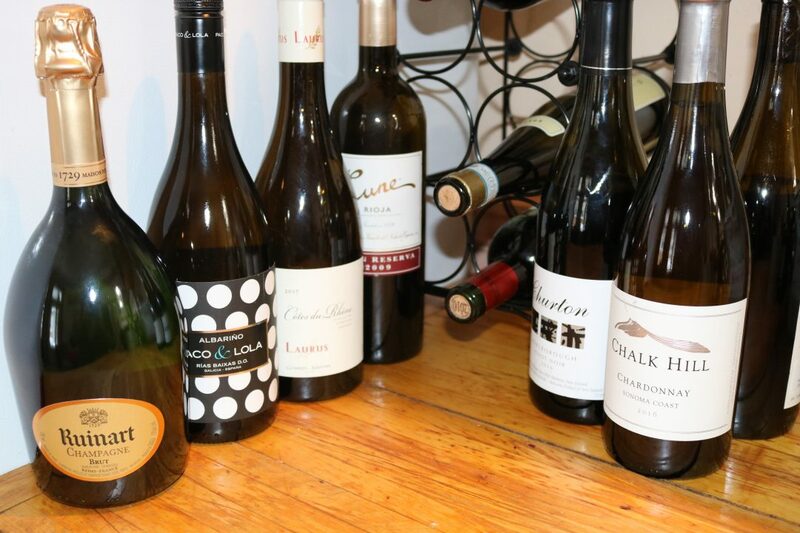 But, if you love to drink wine regularly, and to entertain, it is still nice to have a small stock of “house wines” to avoid last minute rushes to the wine store. Not sure what to buy? Keep reading! I recommend having at least one bottle of these seven different styles of house wines on hand. They should cover the majority of wine drinking occasions. ***Side note: I have also made this post into a YouTube video. To watch, just scroll down to the bottom & click play. If you enjoy the video, consider subscribing to my YouTube channel so you never miss an episode of my weekly wine education series. Back home in Montréal, my budget doesn’t quite extend to weekly bottles of Champagne. This is potentially for the best though, as I have been forced to branch out and discover the wide world of excellent sparkling wines outside of France. I recommend stocking two types of bubblies for your house wines: a more affordable version for the every-day celebrations, and a finer bottle for the big moments. For your first bottle, even though you are spending less, you still want something you’d enjoy drinking. I suggest seeking out the higher quality tiers of budget-friendly sparkling wine regions. If you like delicate fruity aromas, soft bubbles, and fresh acidity, try Prosecco at the Superiore DOCG level. If you prefer the more vigorous, firm bubbles of Champagne, with hints of brioche, biscuit-type aromas, go for Cava at the Reserva or Gran Reserva level. Crémant wines, made through out France, will also provide a similar experience. In terms of your fancier fizz, Champagne is obviously the classic choice. If you want to go all out, look for Vintage Champagne or a Prestige cuvées of a non-vintage wine. Don’t forget however, that really top-drawer sparkling wine is cropping up all over the world – potentially in your own backyard – and drinking local is awesome! Look to England, parts of Canada, Tasmania, Marlborough if you want something with that really racy acidity of Champagne. If you want something a little richer & rounder – try California or South Africa’s top sparkling wines. To learn more about premium sparkling wines, click here. Ok…on to your every-day house wines. I enjoy drinking a glass of white wine while I am cooking supper. I want something fairly light in body, crisp, dry and generally un-oaked at this juncture of the evening; a wine that is easy-drinking on its own and as refreshing as lemonade on a hot day. These are also typically the kinds of wines I would serve at a dinner party as an aperitif, or with light fare such as oysters, grilled white fish, or salads. An easy go-to white wine grape variety is Sauvignon Blanc (more elegant, restrained styles from Loire, more pungent grassy, passion fruit examples from New Zealand) or dry Riesling (try Alsace, or the Clare and Eden Valleys in Australia). If you would like to try something a little different, look for the zesty, peach-scented, mineral Albarino grape from Spain, the crisp, dry, herbal, lemony Assyrtiko grape grown mainly on the island of Santorini in Greece, or finally firmly structured, brisk, peach/ grapefruit/ earthy Grüner Veltliner from Austria. If you are cooking poultry, fattier fish, cream-based sauces, or serving soft cheeses, you will need a weightier, more textural white that can stand up to the heavier food. Chardonnay wines, notably those aged in oak, work well here. Be careful however, because Chardonnay runs the gamut from quite lean, citrussy & mineral to very broad, heavy & tropical – check with store staff before buying to make sure you get a style that suits your palate. Interesting alternatives to Chardonnay include white Rhône Valley blends featuring grapes like Marsanne, Roussanne and Viognier. These can also be found outside of France, with fine examples made in Paso Robles, California and Victoria, Australia. Pinot Gris from Alsace, notably the Grand Cru versions, also have a lovely textural weight, depth, and vibrancy of fruit that will shine in this category. Sadly, not all of your guests are going to love white wine (I know…it is a shock to me too). The perfect host will not be flustered by this set-back. They will simply trade out the white for a crisp rosé, or a light, juicy red wine. Pale, dry rosé works well for pre-dinner drinks. Rosés with deeper colour and more depth, or pale, fresh red wines will marry well with those fleshier fish or poultry dishes. Pinot Noir, Gamay, and lighter styles of Cabernet Franc are excellent light-bodied red wine grapes. Look for cooler climate origins, as the hotter regions will likely verge into the medium to full bodied category, with more baked fruit flavours and higher alcohol. What you are looking for here is tangy acidity, a delicate structure, and fairly silky tannins. For a more exotic option, try Etna DOC wines, made from the Nerello Mascalese grape, on the slopes of the famed Mount Etna in Sicily. Between the delicate, tangy light reds and the big, bold ones, I always think that it is a good idea to have a more versatile red in your house wines arsenal. A wine that is medium in body, fresh (but not overly acidic), subtly fruity, smooth and rounded on the palate. These wines tend to pair with the widest range of foods making them a great option for your every-day fare. Côtes-du-Rhône red wines (made from a blend of Grenache and Syrah) are a fantastic choice here. If you like the style, but prefer a wine with a touch more body and depth, look for the Villages level of Côtes-du-Rhône. Valpolicella from the Veneto in Italy is also a lovely, fruity option, or – if you like the vanilla, spice flavours of oaked reds – try a Rioja Reserva. When you are barbecuing steak, preparing a heartily flavoured stew, or serving pungent, hard cheeses, you need a wine with equally bold flavours. The tannins from these more powerful reds also binds with and softens proteins in meat, intensifying their rich savoury flavours, and in turn, reducing the astringency of the wine. A wide range of options exist. Classics include Cabernet Sauvignon, Merlot blends (with more vibrant, tart fruited examples from Bordeaux vs. more lush, ultra-ripe fruited versions from the Napa Valley), Malbec and Syrah are also great traditional choices. Looking a little further afield, you could try Portuguese blends from the Douro region, or Grenache, Carignan blends from Priorat region of Spain. There is a vast world of amazing options out there but, for most of us, after-dinner wines tend only to be served on special occasions. Unless space permits, you don’t necessarily need to stock these in advance. I hope that this helps you a little with your next trip to the wine store. If you have any questions, or comments on any of the wines, write me a comment and I will happily respond. The ambition of many a vineyard-owning winemaker is to craft the finest possible vin de terroir. It is a lofty notion – the story of one vineyard’s specific climate, soil type, orientation, and so forth, expressed through its grape variety(ies) and through the winemaker’s touch, to create a unique wine that could only come from that specific place and vintage. 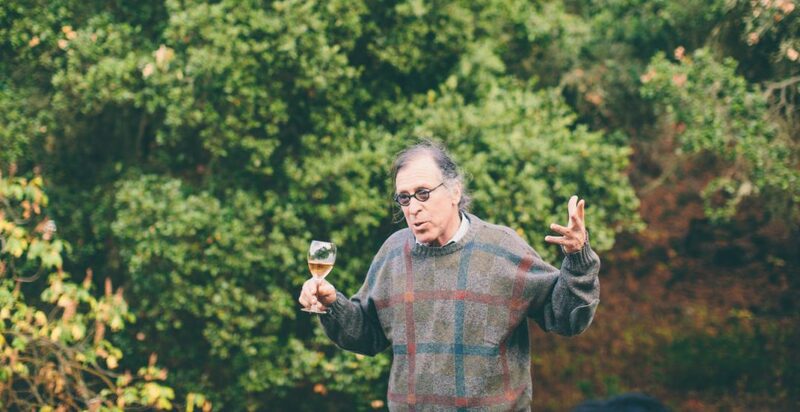 Randall Grahm is a renowned Californian wine producer; founder of the Santa Cruz-based Bonny Doon Vineyard. Grahm has focused on the pursuit of terroir wines since selling his major brands: Big House Red, Pacific Rim, and Cardinal Zin back in 2006. At a recent tasting in Montréal, Grahm waxed lyrical on the subject. Grahm separates wines into two categories: those that express winemaking technique, and those that convey provenance. Grahm separates wines into two categories: those that express winemaking technique, and those that convey provenance. Both are of value. Not every vineyard site has superior qualities. Many are simply adequate to the task of producing good value, easy-drinking wine. And there is nothing wrong with that. A skilled winemaker can enhance quality using a variety of specialized techniques, but the resultant wines will never provoke the kind of “emotional or psychic resonance” Grahm attributes to terroir wine. In certain, very special vineyards the world over, wine producers have observed a curious phenomenon. Despite using similar grape growing and winemaking techniques as practiced in neighbouring vineyards, the wines from these sites are different, and inexplicably better. They possess a sort of ethereal beauty that stirs the soul. In long established vineyard regions, these plots have been identified with special names or hierarchical classifications like Grand Cru, Grosse Lage, etc. Grahm has traveled widely, and tasted terroir wines from across the globe. The one common factor he perceives in all of them is minerality. This buzz word is a hot topic of debate in wine circles. Wine writers (yours truly included) regularly describe wines like Chablis or Mosel Riesling as mineral – generally meaning that they smell of wet stone or struck flint, or that they provoke a prickly textural sensation on the palate separate from acidity or carbonation. “Before I die, one thing that I want to know is…what is minerality?”. Earth Science experts dismiss minerality as hogwash. A vine’s mineral uptake is so minute in quantity as to be imperceptible to the nose or palate, they say. Theories abound on what causes these flavour compounds, but for now, no common consensus has been reached. “Before I die, one thing that I want to know is…what is minerality?”. Grahm views minerality as a “function of greater resistance to oxidation”; an essential “life force” possessed by terroir wines. He sees a correlation between this mineral expression and “a presence of higher concentrations of minerals in soil, a favourable ratio of grape root mass to fruit mass, and healthy microbial life in the soil”. 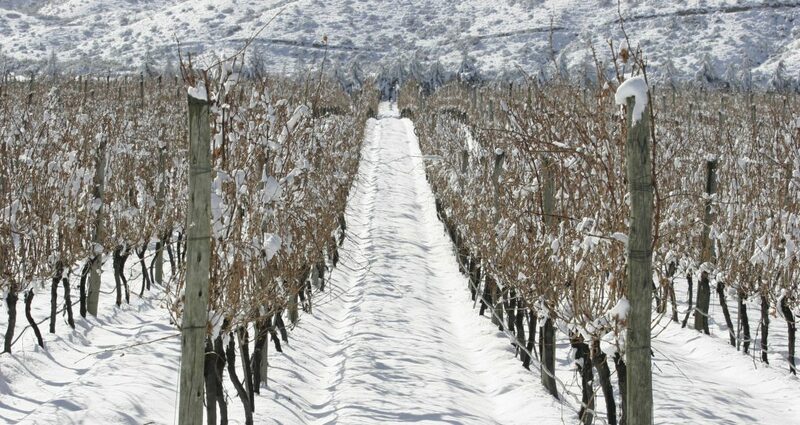 These are the conditions that Grahm is working with in his vineyard. In a quiet corner of the San Benito County AVA, an inland area of the Central Coast of California, Grahm found Popelouchum. This 113-hectare vineyard in San Juan Bautista was a former settlement of the Mutsun people, a subset of the Ohlone tribe. The word means paradise in their dialect, and this is just what Grahm feels he has found. Every effort is being taken here to ensure that the full potential of the site is expressed through the grapes. Dry farming using sustainable and biodynamic practices, low yields, moisture retaining biochar for soil amendments, and so forth. Grahm muses that minerality gives wines an essential “life force” that sets them apart. Grahm has even dedicated a portion of the vineyard to experimenting with growing grape crossings from seed. His ambition is to create new varieties perfectly suited to his land (and similar such vineyards) – with the necessary disease and drought resistance, along with an elegant, and refined flavour profile. This is important work in an era where climate change is dramatically altering growing conditions, making grapes once ideally suited to a site no longer viable. The Popelouchum project is still in its infancy. The sole release, a 2015 Grenache grown from ungrafted vine cuttings taken from Château Rayas in Châteauneuf-du-pape, is incredibly vibrant with a highly perfumed, complex nose, silky structure, and persistent, dare-I-say mineral-laced finish. Sadly, you won’t find it on liquor store shelves. The bottling was so small that Grahm is sharing it privately with friends and enthusiasts. Commercial sales are still a couple of vintages down the road. In the meantime, there are a wide range of Grahm’s Bonny Doon Vineyard wines on offer to distract us. They may not be the absolute expression of terroir that Grahm now seeks, but they certainly are skillfully made and very pleasant to drink. Pretty pale rose in colour. Subtle floral, and red apple hints feature on the nose. This tempting rosé really comes alive on the crisp, creamy textured palate. Light in body, moderately firm, with concentrated, tangy orchard fruit flavours. Attractive Sémillon character, with notes of lanolin, lemon zest, acacia, and exotic spice on the nose. Fresh, medium in body, with a smooth, rounded mouthfeel and pithy grapefruit notes on the finish. Absolutely killer quality for the price. Sourced from a single parcel, the Beeswax vineyard in Monterrey County. Intriguing aromas of fennel, anise, ripe lemon, apricot, and hints of toasty oak keep you coming back for more. The palate displays excellent balance, with fresh acidity, an ample frame, and highly concentrated, baked pear and spice flavours. Beautifully creamy and layered in texture. Just a shade warming on the finish. Quite earthy and brooding in nature, with aromas of licorice, black cherry, hints of pepper, and dried floral notes. Fresh and full-bodied, with a firm structure and ripe, grippy tannins. Moderate concentration of juicy, brambly red and dark fruit gives way to cigar box and spiced notes on the medium-length finish. Lovely floral nose, underscored by hints of dried orange peel, fresh cranberries, raspberries, and black cherry. This weighty, highly concentrated red really shines on the palate, with vibrant acidity, and well-integrated cedar-spice from mainly older oak ageing. The tannins are very elegant; fine-grained and ripe. The finish is long, earthy, and fresh. Hi folks. Here is the second installment in the “Throwback Thursdays” republication of my 2010 Rhône Canuck blog. This brief post details my move from Burgundy to the Rhône Valley. Enjoy! So here I am happily ensconced in the foothills of the majestic Dentelles de Montmirail (the range of craggy mountains that towers over the sleepy hamlet of Gigondas). My new job? To sing the praises of the noble marriage of Grenache & Syrah. Please don’t think that I have forsaken my first loves, Pinot & Chardonnay. They still stand mightily on their pedestals and I make the pilgrimage back to the motherland regularly! But somewhere around my 3rd winter in Beaune the endless winter fog got the better of me. The locals scoffed at a Canadian complaining about the cold, but these people don’t heat their lofty 17th century homes. The damp seeps in every corner and you can only put on so many sweaters before you start feeling like the Michelan man. Sure the vin chaud helps, but what with the glass or so of petit Chablis at lunch, a kir or three for the apéro, a nice bottle of Pommard with dinner and maybe a Poire Williams for the digéstif…Beaune was definitely having a wee effect on my young liver! A few months and a pair of callused, purple hands later, I realised what a great job sales is! So off back to France, to start anew, in the sunny and WINDY southern Rhône as a proud footsoldier for the maison Gabriel Meffre.